The man charged in the disappearance of University of Virginia student Hannah Graham has been arrested in Galveston, Texas, officials said Wednesday night. 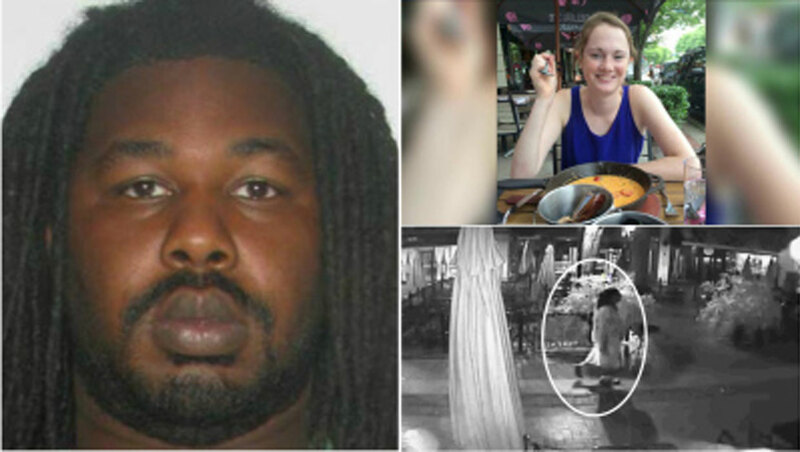 Charlottesville Police Chief Timothy Longo said that 32-year-old Jesse Leroy Matthew Jr. is in custody in Galveston. He said authorities did not know why Matthew was in Texas. He said they are now working on getting him extradited to Virginia. Matthew is charged with abduction with intent to defile in the case of Graham, an 18-year-old sophomore who has been missing since Sept. 13. Longo added that police were still searching for Graham. "This case is nowhere near over," Longo said. "We have a person in custody but there's a long road ahead of us." Longo announced that the reward for information leading to Graham's location is now up to $100,000. Police believe Matthew was the last person seen with Graham, and obtained a felony warrant for his arrest late Tuesday. Matthew had sped away from a police station Saturday after coming with family members to ask for a lawyer. It's not clear whether the longtime area resident knew Graham, who was last seen in an area lined with shops and restaurants where police believe she went into a bar with him. The case has spread fear through the quiet community about 70 miles west of Richmond. Authorities have increased patrols and a late-night transportation program for students, who also have begun walking in pairs at night and are paying closer attention to their surroundings. While police continued searching for Graham and struggled to make sense of what led to her disappearance, a vigil was scheduled Wednesday evening at her alma mater, West Potomac High School in northern Virginia. Graham was an alpine skier and alto saxophone player who had earned straight A's six years in a row, according to family members and police. According to police, Graham met friends at a restaurant for dinner on Sept. 12 before stopping by two parties at off-campus housing units. She left the second party alone, police have said, and sent a text message to a friend saying she was lost. Surveillance videos showed her walking, and at some points running, past a pub and a service station and then onto the Downtown Mall, a seven-block pedestrian strip where police believe she entered a bar with Matthew. The university said he's been employed at the University of Virginia Medical Center since Aug. 12, 2012, as a patient technician in the operating room. Hansen said he's only kept up with Matthew through Facebook, but ran into him at the university's medical center within the last year. He said the soft-spoken Matthew greeted him in an elevator with a high-five. More recently he also served as a part-time volunteer for the football team at The Covenant School, a private Christian pre-kindergarten through 12th-grade school in Charlottesville. Officials said his involvement with the school began last month following interviews with the athletic director and head football coach, as well as normal background and reference checks. The latest revelations came late Tuesday, when police, who have searched Matthew's car once and his apartment twice, decided they had probable cause to charge him in the disappearance. Longo declined to say what new information police had, but authorities sent several items, including clothing, to a state forensics lab for testing.